I have some exciting news, I made it onto Company online last week, after they asked me to write a fun guide on the basics to look out for when buying vintage/secondhand clothing, which I thought was such a great idea, and so I thought it would make a great idea for a blog post too. Being a vintage buyer and a vintage store owner, this is always something I get asked a lot, so I’ve listed my tips and tricks below (you can also find it on Company here) so I hope this little guide helps when you go treasure hunting! For me, there’s nothing better than the thrill of discovering a hidden gem. 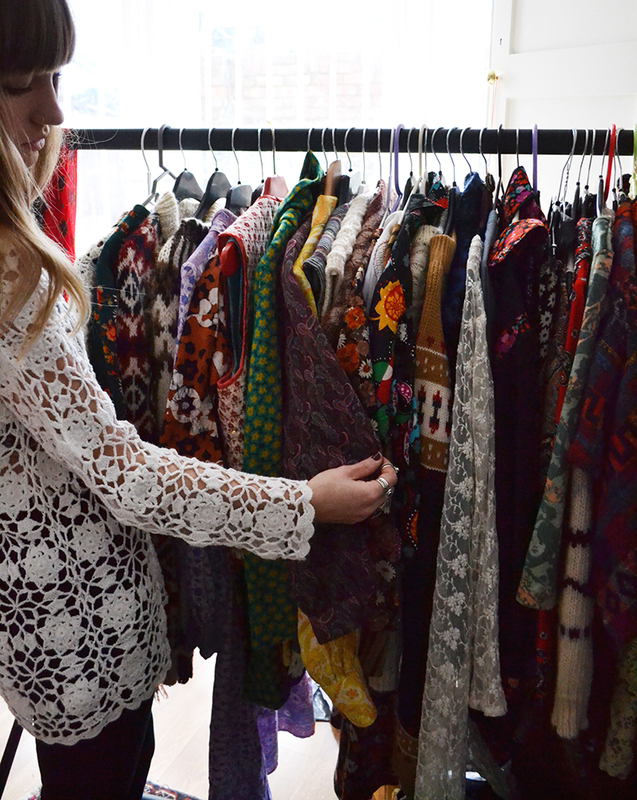 And don’t forgot, vintage pieces are one of a kind, so if you do love it, get it or you’ll regret it. things on quickly over. Minimal to no jewellery and basic to no makeup too if you’re really getting into the zone. back on is one thing, but replacing a zip or a million moth holes is another. If there are any noticeable tears etc that you spot and they haven’t been written on ‘sold as seen’, don’t be afraid to ask for a discount. Also another key thing is to learn your vintage labels before you go and make sure you check them to be sure you’re buying a true vintage product. For example, ‘St Michael’ is actually just old M&S, which I personally wouldn’t class as true vintage but I am forever seeing listed as just that on eBay. vintage smell is an easy one to wash out, but anything else usually isn’t! If you are desperate to buy it and it doesn’t smell too great in the armpit area, this incredible baking soda trick (second down on this article) usually works like dream. hanger, it might not on, and vice versa, you don’t know until you try it on. labels and try it on for yourself to make sure. It’s so much fun to take your best friend and have a trying on session of vintage clothing you wouldn’t usually go for too! having a vision to rework vintage can bring old pieces a new lease of life. always a great one too. All images are from Waiste Vintage, the above image is my wardrobe last year until I decluttered. I was going to originally have all the images of Waiste pieces I’ve found and loved but there are far too many, so make sure you have a look on the instagram where vintage treasures are posted daily. If you ever have any questions about vintage or me or anything like that, feel free to ask me on the waiste tumblr or leave them below and I’ll do my best to answer them! These tips are so good ! And the pictures gorgeous ! Second hand shopping is so cool! You can discover gems that you'd never have found otherwise! I really need to go vintage shopping again! I used to love shopping second hand and vintage. I need to get back into it! Also, super jealous of your wardrobe.